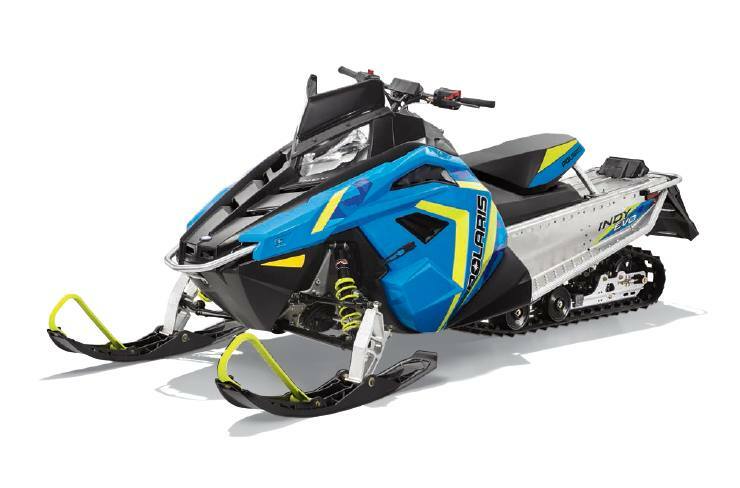 Introducing INDY EVO™, a trail-ready sled perfectly engineered for new riders with performance scaled to what they need, and what they want. Welcome them to a world where everyone shares in a perfect day spent riding. Because together, you are BORN FOR MORE. 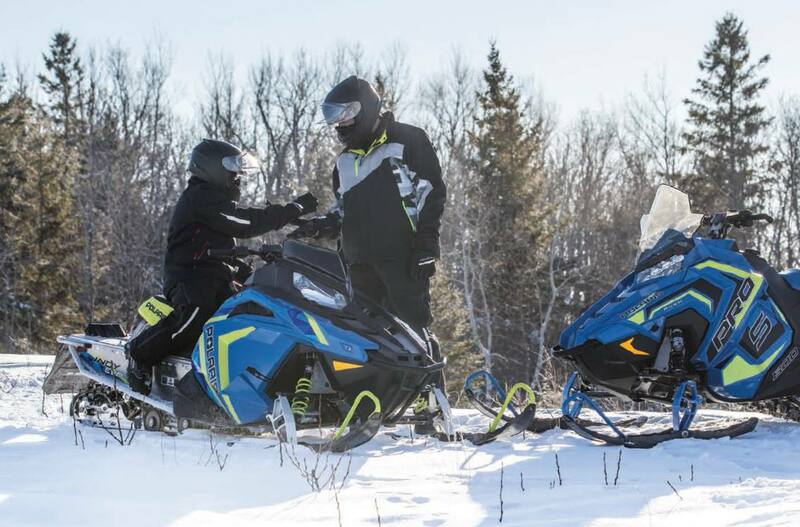 Pure Performance Fun for New Riders: The NEW INDY EVO™ is a trail-ready snowmobile built specifically for new riders. With compact ergonomics and performance perfectly scaled to them, it transforms new riders into confident riders. Rider is positioned for comfort, control, and confidence. 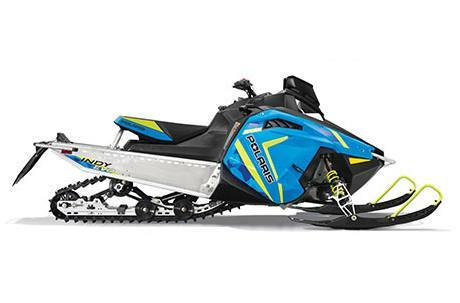 Created using Polaris advanced design engineering, the INDY EVO™ is lower and narrower than a full-sized sled which provides new or shorter riders more confident control. The lower seat and suspension height lowers the center of gravity and enhances rider stability. The handlebars are narrow, low and flat which provides excellent steering leverage. Easy throttle flipper is designed to be comfortably and effortlessly controlled by smaller hands. The low, narrow bodywork provides outstanding visibility, yet delivers excellent wind protection with AXYS-style integrated airfoils and a wide range of windshield options. Engineered for a stable yet effortless ride on trails. 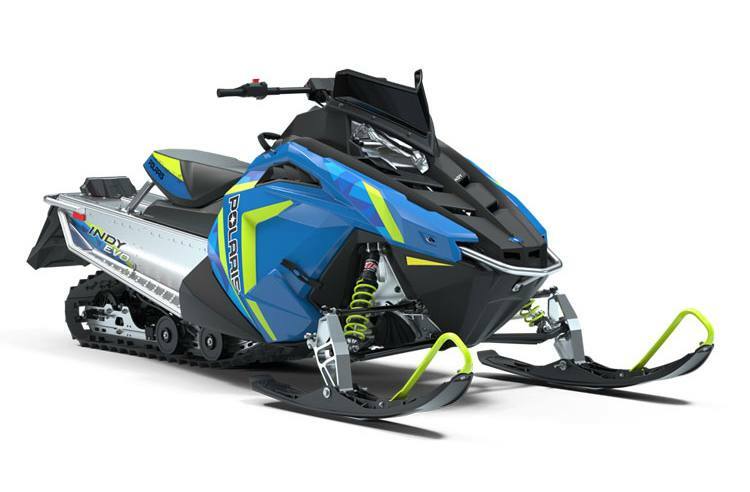 The adjustable-stance Independent Front Suspension (IFS) allows the sled to evolve with the rider. Features shocks designed and calibrated specifically for the INDY EVO™ chassis. The all-new INDY EVO™ ski was designed exclusively for this sled and delivers confident handling with reduced steering effort. 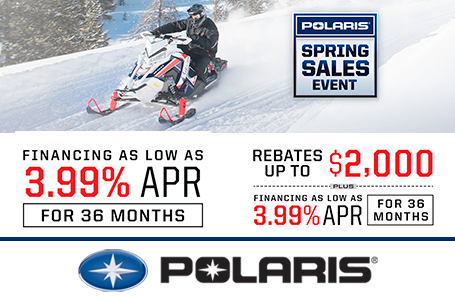 The proven Polaris 550cc fan-cooled engine delivers just the right amount of power for new riders. Speed is electronically controlled to a maximum of 50 mph. An accessory kit is available to make additional power available as a rider’s skills develop. The smooth and consistent throttle response gives a rider confidence-inspiring control. Available with or without electric start. Accessory stage tuning kits will be available to adjust vehicle’s performance and ride as skills grow. Underseat Bag for added storage. Wrap Kits for a customized look. 15 x 121 x .91 in. 2019 800 INDY XC 129 ES. Black/Red. Plus Freight. 2019 Indy EVO ES. Plus Freight. 3.99% for 36 Months. 2019 800 INDY XC 129. Orange Burst. Plus Freight. 2019 600 INDY XC 129 ES. Pink Ribbon. Plus Freight. 2019 600 INDY XC 129 ES. Black. Plus Freight. 2019 600 INDY XC 129. Black/Lime. Plus Freight. 2019 800 INDY XC 129. Sky Blue. Plus Freight. 2019 800 INDY XC 129. Black/Orange. Plus Freight. 2019 800 INDY XC 129 ES. Black Black. PIDD. Plus Freight. 2019 800 INDY XC 129 ES. Sky Blue. Plus Freight. 2019 600 INDY ES. White. Plus Freight.